Coffee and tea themed branding toolkit designed to take the effort out of your next logo/branding project. Hundreds of individual hand-drawn banners, brushes, frames and ornaments are included to help you create a beautiful and characterful brand! File format: .ai, .png, .eps for Photoshop or other software. 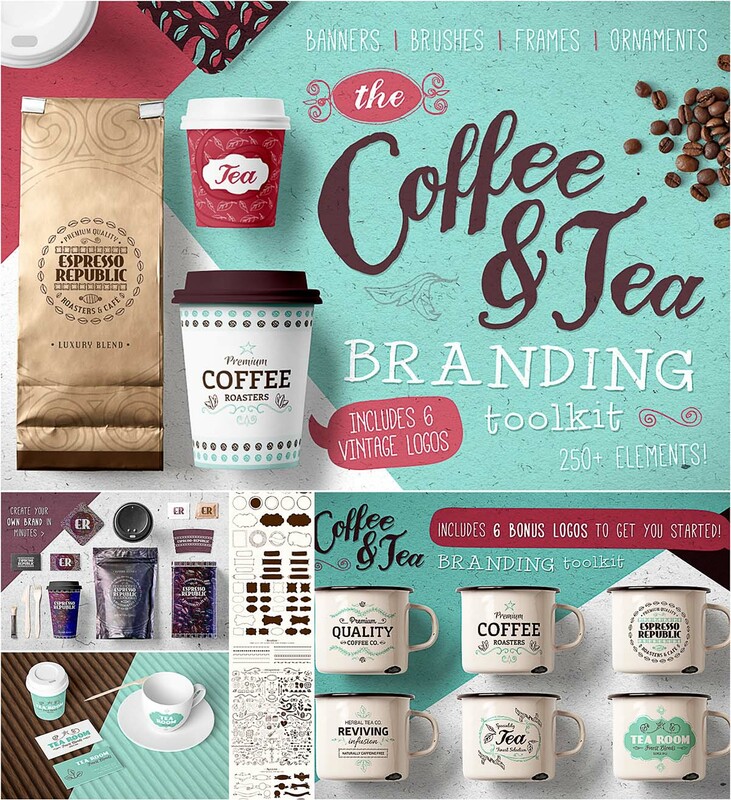 Tags: banner, brand, brush, coffee, divider, frame, icon, ornament, tea, toolkit. Hi,the download link is broken. Mediafire says file not found.